To see the ongoing tensions between the United States and China as merely a trade war would be to miss the point. It is, in fact, a tussle for dominance on the global stage, speakers at The Straits Times Global Outlook Forum said yesterday. Mr Samuel Tsien, OCBC Group chief executive officer, said in a speech at the start of the full-day event that the so-called trade war "is actually a manifestation of competition for supremacy" on various fronts - military, currency, economy and cyberspace. This trade war is really a small part of a bigger narrative, he added. "It is a symptom of the bigger picture." It was a theme picked up by speakers on a panel discussing political pressures on the global economy later in the morning. Professor Danny Quah, dean of the Lee Kuan Yew School of Public Policy at the National University of Singapore, noted that resolving the US-China conflict would have to go beyond fixing public policy and resolving issues of inequality. He outlined possible reasons for the conflict. One possibility, he said, is that "America cannot tolerate a different country being potentially No. 1 in the world, and China is on a trajectory that will take it to overtaking the US". "It is now China that is telling that story of inclusiveness, openness, multilateralism... This trade war will continue because we have not been able to disentangle its root cause," he added. "(In the) longer term, we may have to prepare for a different kind of international system." OCBC Bank's head of treasury research and strategy Selena Ling agreed that the trade war will not end any time soon. "Increasingly, politics drives economic policies, and we see this manifestation very clearly in the trade war," she said. "There are short-term winners and losers... (but) if you have two giants in the room, US and China, in this really prolonged, protracted fight, it is going to complicate things for the rest of Asean." Pointing to free trade pacts like the Regional Comprehensive Economic Partnership - on which Asean and six of its key partners, including China and India, this month resolved to try to complete talks next year - Ms Ling said: "In the short term, we have seen Asean really try and get its act together, in terms of pushing ahead with integration." But the outlook is more uncertain in the long run because if the US bans export of electronic components to China, for example, it will not just be corporations that face trouble. The consumer will see product prices rise, given that value chains will be repriced, she said. Straits Times associate editor Vikram Khanna flagged pressures that China is facing, saying its position is not as strong as leaders are trying to project. Earlier this year, Chinese telecom company ZTE almost collapsed after the US imposed a ban on the sale of American technologies to it, he said. "That really brought home to us, and to a lot of Chinese, that China is still highly dependent on the US and other advanced economies for very critical things like chips. China imports 90 per cent of its semiconductors," he added. He said time is not on China's side, estimating that it has around a 15-year window before social problems become more serious - for example, 25 per cent of its population is expected to be over the age of 60 in 2030. "The longer this gets drawn out, the weaker China's position could become," he said. But Ms Goh Sui Noi, ST's East Asia editor, said some hope the trade war can spur reforms in China, such as changes to subsidies for state-owned firms, which distort the market not just for foreign firms but the Chinese private sector as well. Meanwhile, Mr Khanna remains circumspect over claims that Asean economies will gain from the trade war between the US and China. Lower-end value chains would have shifted out of China anyway to countries like Vietnam and Indonesia, he said. But higher-end value chains are harder to dislodge as they require a more highly skilled workforce, he added. There is also a shift to automation in more labour-intensive industries. This means the beneficiaries will be among the handful of countries that control the technology, such as China, Japan, South Korea, the US and Germany. 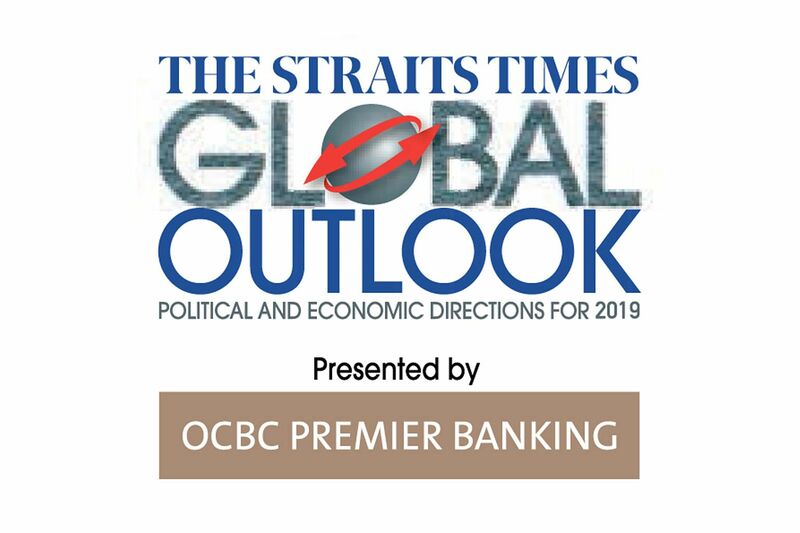 The annual forum is organised by The Straits Times in partnership with presenting sponsor OCBC Premier Banking and official car Mercedes-Benz.